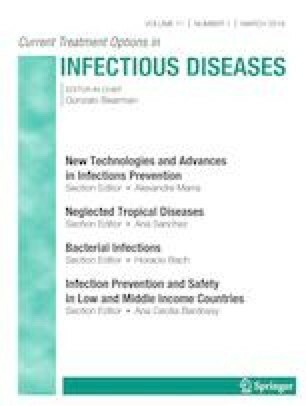 We reviewed seminal papers and recently published articles discussing multiple aspects of infection prevention applied to Clostridioides (formerly Clostridium) difficile infection (CDI). We identified hot topics including the importance of understanding the gut microbiome in CDI and its implications from an infection prevention perspective, the increasing role of antibiotic stewardship including testing stewardship in preventing and mitigating CDI, and the increasing role of clinical decision support systems to improve early diagnosis and decrease inappropriate testing. In addition to established infection prevention interventions, CDI control will be achieved by a combination of gut microbiome manipulation, personalized medicine based on host and agent genome analysis, and a combination of antimicrobials and testing stewardship by leveraging progressively sophisticated electronic decision systems. Automated environmental decontamination systems are not routinely recommended at this time. Dr. Munoz-Price had received grant funds from Cepheid. Dr. Figueroa Castro declares that he has no conflict of interest. CDC. 2015 Annual report for the emerging infections program for Clostridium difficile infection [Internet]. 2017. Available from: https://www.cdc.gov/hai/eip/Annual-CDI-Report-2015.html. Accessed 20 Dec 2018. Ghose C. Clostridium difficile infection in the twenty-first century. Emerg Microbes Infect. 2013;2:e62. https://doi.org/10.1038/emi.2013.62. Sperling K, Priddy A, Suntharam N, Feuerhake T. Optimizing testing for Clostridium difficile infection: a quality improvement project. Am J Infect Control. 2018. https://doi.org/10.1016/j.ajic.2018.08.027. Carter KA, Malani AN. Laxative use and testing for Clostridium difficile in hospitalized adults: an opportunity to improve diagnostic stewardship. Am J Infect Control. 2018. https://doi.org/10.1016/j.ajic.2018.08.008. Butler JP. Effect of copper-impregnated composite bed linens and patient gowns on healthcare-associated infection ratesin six hospitals. J Hosp Infect. 2018;100(3):e130–e134. https://doi.org/10.1016/j.jhin.2018.05.013. Kong LY, Eyre DW, Corbeil J, Raymond F, Walker AS, Wilcox MH, et al. Clostridium difficile: investigating transmission patterns between infected and colonized patients using whole genome sequencing. Clin Infect Dis. 2019;68(2):204–209. https://doi.org/10.1093/cid/ciy457.